Bacoor, Cavite – The composite band and majorettes team from the Mariners Polytechnic Colleges Foundation (MPCF) Camarines Sur and Mariners Polytechnic Colleges (MPC) in Naga City has made it to the top honors in the National Marching Band Competition held on September 28, 2013 in Bacoor Cavite. Mariners captured the First Prize slot outsmarting thirty-nine (39) other participating units from different parts of the country. In a statement received from President Dante La. Jimenez of MPCF, the awarding ceremony was attended by Mariners Board of Trustee-member Evita Jimenez and Misuga Shipping Company representative in Bicol Mr.Minagawa who received the prize for and in behalf of the Mariners System. Also with the group to witness the presentation of the award was Professor Bobby Tuazon of the Center for People Empowerment in Governance (CenPEG) of the University of the Philippines (U.P.-Diliman). Present to give the honors to winning performers include Vice President Jejomar Binay, the Achbishop of Manila Luis Antonio Cardinal Tagle and the officialdom of the city. 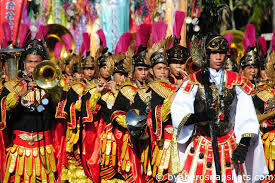 It can be recalled that the schools participated in this event upon invitation from the City Tourism Office of Bacoor to join the Bakood Festival in which one of the features is the National Marching band Competition. It coincided with the 342nd founding anniversary of the city. The schools’ colorful marching band’s picture is featured in the front page of the daily newspaper Philippine Star in its September 29, 2013 issue. Naga City, September 20, 2013 – the culinary arts team sent to represent Mariners Polytechnic Colleges (MPC) Naga to compete in the Bicol Food Festival’s ‘Namit Bicolnon’, a cooking contest held during the Peñafrancia Fiesta at the Avenue Plaza Hotel on September 19, 2013 this city, brought home the top honors after besting seventeen (17) other groups in the inter-school category participated in by institutions offering Bachelor of Science in Hotel and Restaurant Management (BSHRM) courses. This was confirmed by President Dr. Marilissa J. Ampuan of MPC-Naga after she presented the Ist prize trophy to other officers of the Mariners System who were present in a meeting a day after the event. The school’s contingent was represented by Ms. Adelfa Phan, Chair of BSHRM Department who served as coach and was ably supported by Ms. Emy Barbara, a faculty member who acted as trainor. The students who participated as members of the culinary arts team was led by Carla Pesito. The contingent was lauded and congratulated by the school administration for bringing home the honor to the institution. Mariners-Naga is focusing on the quality of education and training, particularly in its hospitality and tourism-based courses offered. 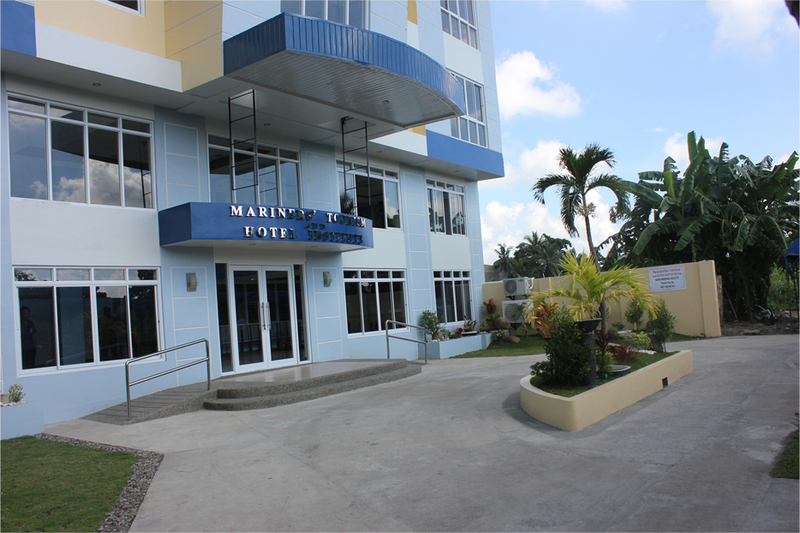 A few weeks ago, MPC-Naga inaugurated its four-storey multi-million Mariners Training and Hotel Institute (MTHI) which is complete with a state-of-the-art kitchen, restaurant, an elevator, hotel rooms and suites, prayer room, training classrooms and offices. 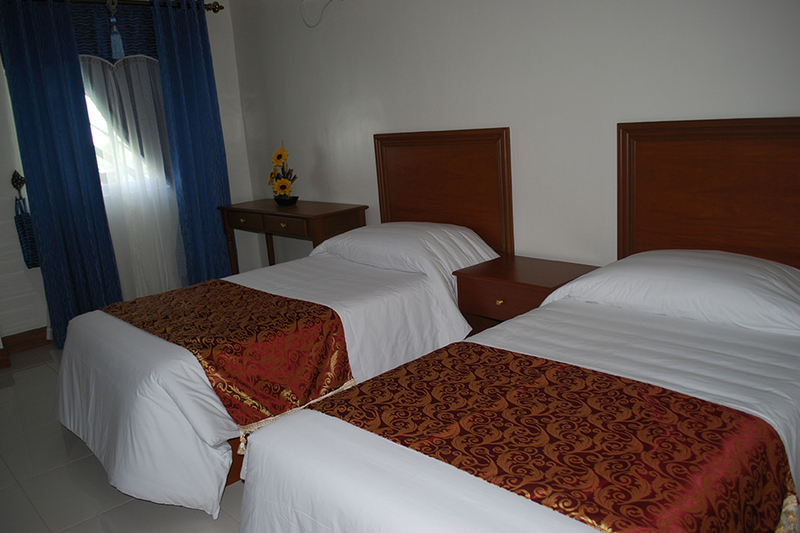 The training institution is manned by professional hoteliers who mold the students to be prepared to face the challenges of the profession as they enter the hospitality and tourism world in the near future where they wish to serve. “This victory at the Bicol Food Festival during the Peñafrancia Fiesta is a fitting tribute to the students and instructors who formed our winning team. 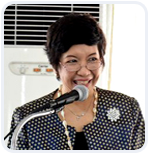 This also speaks of the level of the quality education and training that Mariners attempts to elevate its culinary arts students which we hope to maintain and sustain’, said school President Dr. Marilissa J. Ampuan. September 13, 2013. Naga City – The Mariners schools in Naga City and Canaman Camarines Sur join the Traslacion Procession Friday afternoon in connection with the activities of the Peñafrancia Festival to honor the Lady of Peñafrancia , Patroness of Bicolandia. The event signals the start of the weeklong celebration which traditionally the Traslacion is held every second Friday of September during the year. The image of Our Lady of Peñafrancia which is housed at the original Peñafrancia Shrine at Peñafrancia Avenue will be transferred to the Naga Metropolitan Cathedral along Elias Angeles St. where a nine-day novena will be held. Students and personnel of Mariners Polytechnic Colleges Foundation (MPCF) in Canaman, Camarines Sur and the Mariners Polytechnic Colleges (MPC) in Naga City join the religious event as a gesture of solidarity with the Bicol community in this occasion. It is expected that millions of devotees and tourists will flock again to the city now dubbed as ‘Pilgrim City’ to join the festivities. Although the festival is a religious event, the city government of Naga has involved itself in the activity inasmuch as peace and order has become an utmost concern with millions of pilgrims coming from different parts of the country and the world flock to the city to become part of the occasion. 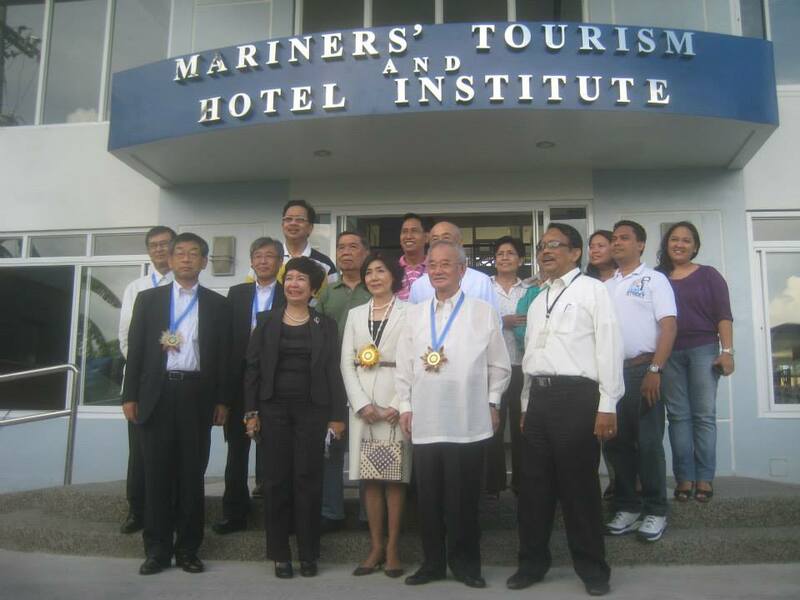 Naga City – The Mariners System has inaugurated and blessed a new landmark in the city, the Mariners’ Tourism and Hotel Institute (MTHI), last September 6, 2013. The four-storey edifice adjacent to the campus of Mariners Polytechnic Colleges (MPC) along Panganiban Drive speaks of the new dimension of education which Mariners offers to aspiring young people taking-up hospitality and tourism courses, with the state-of-the-art facilities found in the hotel. This is in response to the goal of MPC to provide quality education and training to the students. In addition, this new building will expose and immerse the students to the state of the art facilities that will give them a wide and extensive experience in the hospitality industry. It is noted that the students in Bachelor of Science in Hotel and Restaurant Management, Bachelor of Science in Hospitality Management, and Bachelor of Science in Tourism will most benefit.The fourstorey MTHI houses a modern culinary laboratory, bar, classrooms, offices, a reading room and lounge, prayer room, and six hotel rooms. With the growing demand for world-class graduates and the growing school population taking up the course, MPC-Naga has thought of investing on this multi-million peso-facility which will serve the laboratory needs of students. 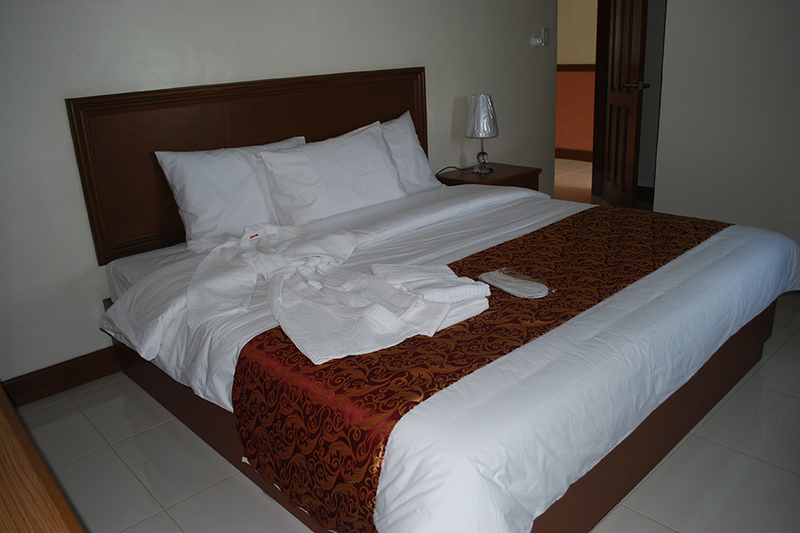 “They do not have to go far just to get a feel of how it is to work in first class hotels and restaurants. The ambience of the place and the competence of qualified instructors truly prepare the enrollees for the job they wish to have after graduation. 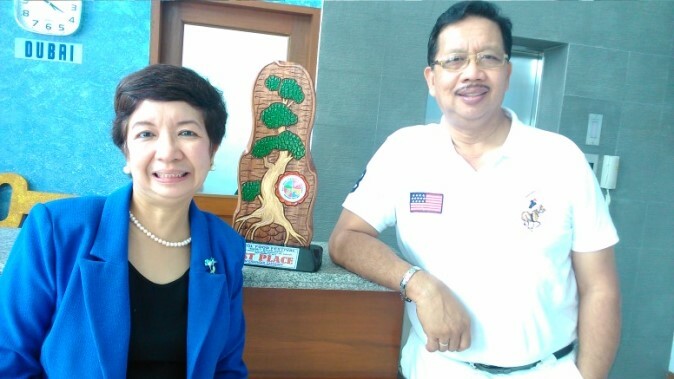 This will definitely enhance their search for excellence in culinary arts, hotel management and tourism related fields, be they in restaurants, hotels or cruise ships operating in the country or outside the Philippines”, said Dr. Marilissa Jimenez-Ampuan, President of Mariners Polytechnic Colleges - Naga. The inauguration starts with the TV coverage at 6:30in the morning at the MTHI premises. Guests for the “Marhayna Aga Kapamilya” are Dr. Marilissa J. Ampuan and Dr. Gabriel L. Jimenez, the President and Executive Vice President, respectively, of MPC Naga. Live performances on flairing/bartending and the band and majorettes are among the attractions. After a concelebrated mass officiated by the Rev. Fathers Alfred Baisa, Noel Teodoro Nacario and Benedict John Eguia, the blessing of the building was made. A short program followed with some of the invited guests delivering their inspirational messages before the audience. Among the important guests present include an official from the office of the Secretary of the Department of Tourism (DOT) in the person of Ms. Maria Corazon Guerrero, Dr. Gloria Baken Wong-Siy - President of the Association of Administrators in Hospitality, Hotel and Restaurant Management Educational Institutions (AAHRHMEI), Camarines Sur Provincial Director Emmanuel Buban of TESDA in Camarines Sur, Ms. Alain Fornoles from the office of Representative Leni Robredo of the 3rd Congressional District of Camarines Sur and City Councilor Jose Tuazon, representing Naga City Mayor John Bongat who was out of the country during the event. Also present in the occasion were the members of the Board of Trustees of the school. 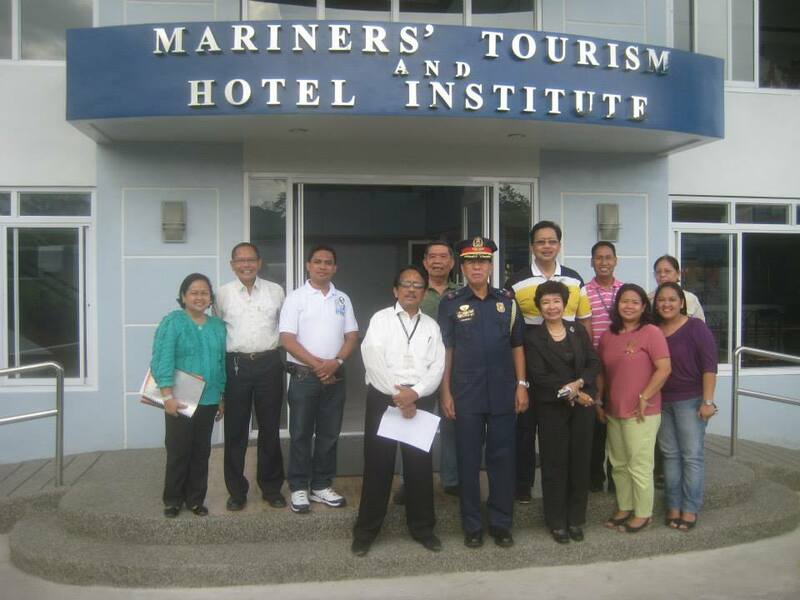 The occasion was well-attended by the faculty and staff from the different Mariners schools in the Bicol Region and representatives from UNLAD Ship Manning and Development Corporation, the Mariners Polytechnic Training Center and Global Manpower Management, Inc., all from the Metro Manila-based establishments of the Mariners System. “The Mariners Hotel and Training Institute will serve as the rallying point for students to excel in this their chosen field as the new facilities offer world-class equipment and training paraphernalia, enhanced by the presence of experienced and competent instructors who would make them proud to have enrolled in this Mariners institution. With MTHI, Mariners is a step ahead.”, said Esperanza Francisco, President of the school’s Supreme Student Council.